Miss Consolacion 2018 may not be as big of a stage as it is with other beauty pageants. It is nothing compared to Binibining Pilipinas, Miss Earth and nowhere close to Miss Universe. 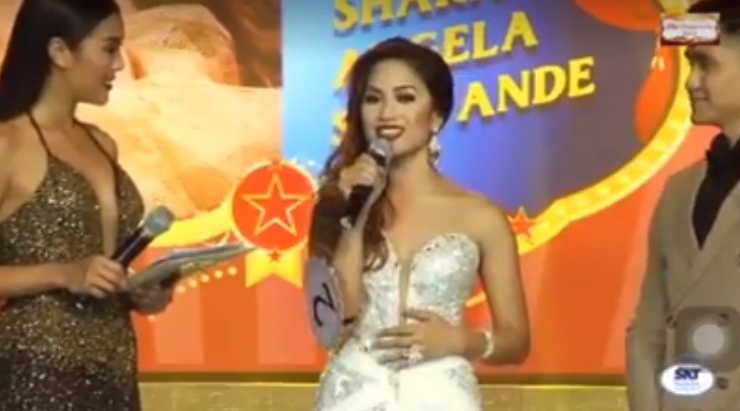 That is why plenty were shocked and pleasantly surprised when they chanced upon the viral video of Shara Angela Servande in the question and answer portion of the Miss Consolacion 2018 beauty pageant. It was uploaded by Jayjay Jimenez on October 29, 2018 and featured the 4th year student of the University of San Carlos Cebu. She was asked the question, “In today’s world, is humanity headed in the right or wrong direction?” which she managed to answer flawlessly. Her answer was very compassionate and encouraging towards the LGBTQ community. It has been highlighted that humanity has learned to adapt to the current situation of the society. The audience loved her answer and their screams of excitement and pride were very evident. As of press time, the post has been watched 1.9M times. It was also shared by several Netizens who had some difficulty writing in their comments and reactions in the video itself. Netizens have a generally positive outlook towards the video. They favored Shara Servande and applauded her for her smart answer. A number of those who shared the video claimed that she had already won and it was time to go home. Others were also bringing out their Cebuano pride hinting that their kabayan is very smart and beautiful at once.